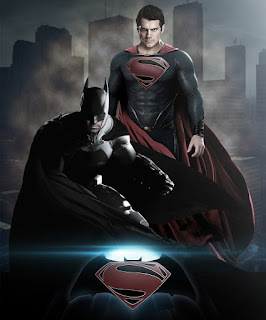 Batman vs Superman : Dawn of Justice is the upcoming movie from Zack Snyder featuring Ben Affleck as "Batman" and Henry Cavill as "Super Man" in the lead. This is the first time Batman and Superman are featuring in the same movie. The screenplay is handled by Chris Terrio and David S. Goyer. The high octane movie has a very good cast line of artist which include, Amy Adams, Jesse Eisenberg, Diane Lane, Laurence Fishburne, Jeremy Irons, Holly Hunter and Gal Gadot. The music of the movie is done by Hans Zimmer, Cinematography by Larry Fong and Edited by David Brenner. The expected release of the movie is March 25 th 2016.